As the month of April wraps up, it is time to wrap up our series on the psychology of colors with one last post. Brown, White, and Black are essential colors, and it’s nearly impossible to decorate without them. So what do each of these shades say? Let’s take a look. Often a favorite color for clothing, black brings power and sophistication. Black evokes potential and possibility with an air of mystery. It is an elegant color, but too much of it while decorating is overwhelming and can darken a space. Use black sparingly, and you’ll be sure to add grace to any room. People typically associate cleanliness and purity with white. It is a fresh, bright color that opens a space and creates a very meditative and settled feeling. 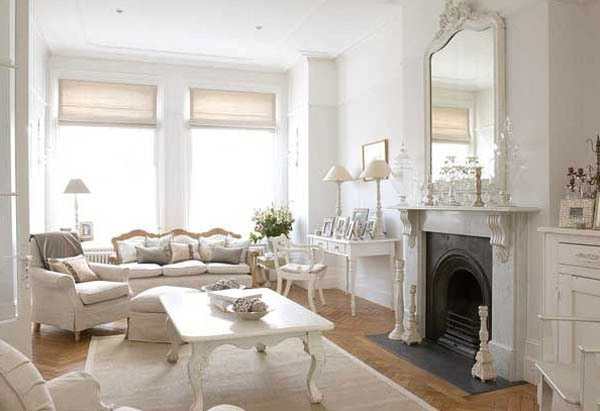 White is a very neutral color and works well with another color to accent and liven up the space. Brown is a very sincere and stable color. The rich, earthy tone brings a feeling of orderliness and can be used as a grounding color. Brown is a color of nature and brings that atmosphere into the room. 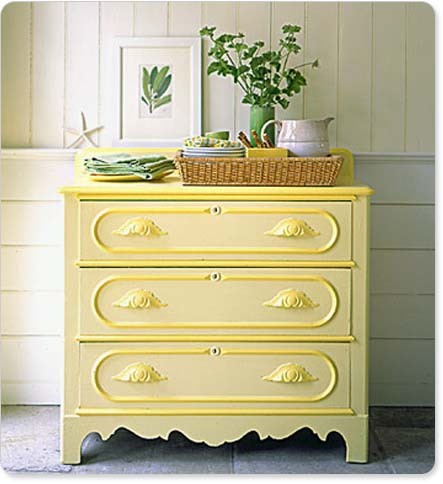 It works best as an accent color and compliments many different shades on the spectrum, bringing warmth to any room. Which of these is your favorite? Did any meanings surprise you? Spring is here! 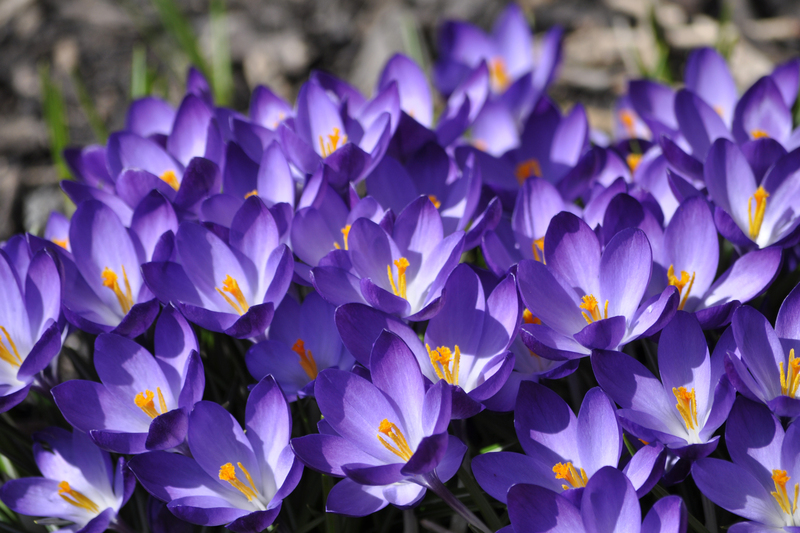 Everywhere around me, I see crocuses and daffodils and tulips. Green shoots are coming up on every available patch of soil. 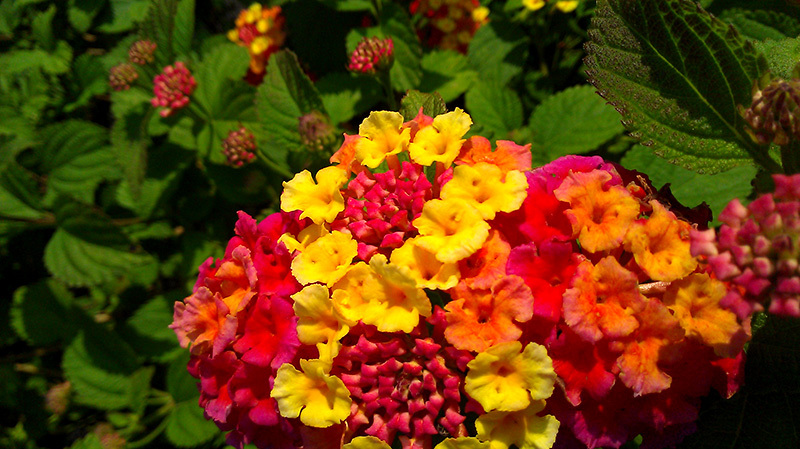 After this winter, flowers are a welcomed sight. All the bright greens and blues and purples surrounding me remind me of all the interesting psychology behind them. So for our Part Two of the Psychology of Colors, let’s talk about the power behind some of my favorite spring shades. Nothing says spring and new growth like the color green. As the most pervasive color in the natural world, and the easiest color for our eyes to see, it exists as a favorite color, second only to people’s love for blue. In fact, green was George Washington’s favorite color. Green relaxes you through and through, both mentally and physically with its soothing shades. It can help alleviate depression and anxiety while offering a sense of renewal. 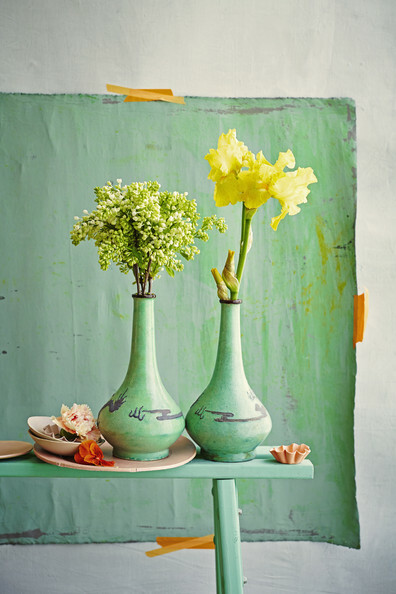 This color can be used for any room, as it carries a sense of balance and freshness. Blue is the most universally favored color – and the most gender neutral too, as it is liked equally between men and women. Blue is a cool, spiritual color that promotes a sense of calm and peace. It also brings about a feeling of trust, and people are more productive in blue rooms. Fun fact: the most popular color for toothbrushes is blue. Just like green, blue is appropriate in every room, and can make a space feel very restful. 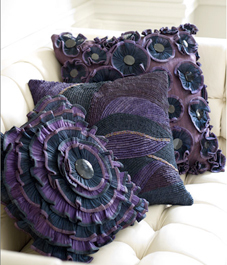 Considered a royal color since the Caesars ruled, purple uplifts and inspires creativity. Purple has both the stimulation of red and blue’s calm in a perfect balance. It is often favored by very creative people for it’s mysterious whimsy. A lighter purple, such as a lavender or aubergine works well for a bedroom or powder room or even a living room to calm nerves. Kitchens benefit from brighter purples, which are reminiscent of fruit and make the room exciting. It is so interesting to learn about the psychology behind each color. Have you ever noticed any of these colors affecting your mood? Which one is your favorite? Stay tuned for next week when we tackle the monochromatic shades of the color spectrum – white, grey, brown, and black! 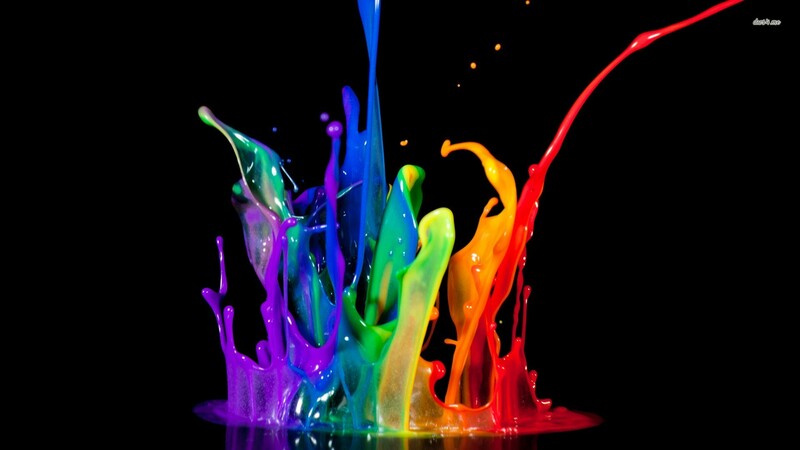 Colors, in their many shades and hues, are powerful – certain one can make you feel warm and happy while others inspire passion and even others bring about calmness. This blog is part one in a series to learn and explore how colors can be used to influence moods and even appetite! However, as the weather grows warmer and flowers start to peek out of the soil, I find myself wanting to shake off the winter blues and concentrate on some of the warmest shades on the spectrum: yellows, oranges, and reds. The same color as the sun, yellow is considered the happiest color on the spectrum. Yellow encourages communication and stimulates both memory and mental processes. Be warned, however, for all its fun and optimism, bright yellow is not a good color for a baby’s room as it can cause stress and tension for young children. Still, consider a soft buttery yellow in almost any other room to promote energy and creative thinking. Orange usually causes a strong reaction from the viewer, either negative or positive. Designers are often split on whether or not to use it. Yet it should be noted that orange can radiate warmth as well as encourage socialization. Apricot and peach tones work best for living rooms, bedrooms, and formal dining rooms. Have you ever noticed how so many restaurants are red? Red increases a person’s appetite and energy. With more personal associations than any other color, it can provide a sense of protection from fears and anxiety even as it encourages confidence. 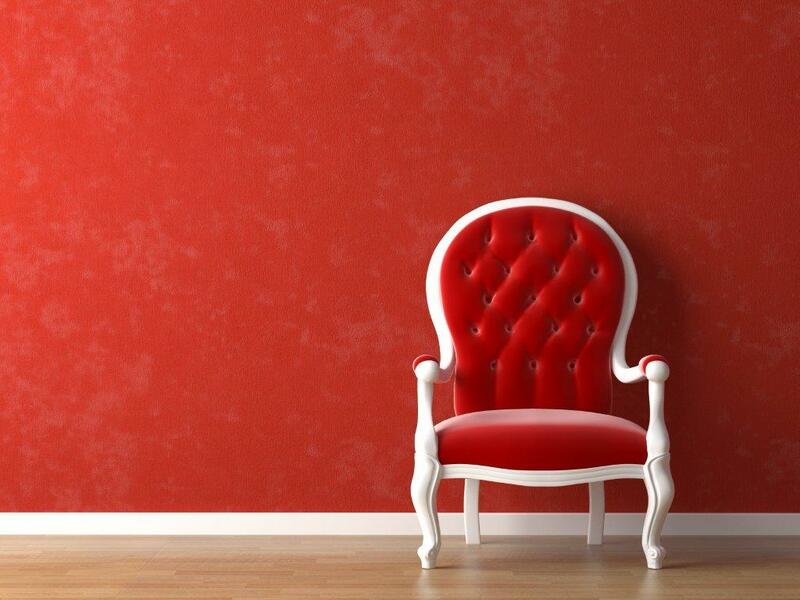 Red is often a favored color in homes, and makes for an excellent choice in a dining room, bedroom, den, or study. One interesting fact about pink is that pastries and sweets taste better when served from pink boxes or plates, as the color makes us crave sugar. Pink can also soothe erratic behavior as it has the same high energy as red with none of the aggression. Oftentimes, pink is associated with romance and youth, although dusty rose and similar shades add an air of sophistication to any room. Pink works spectacularly in bedrooms and powder rooms in particular. Stay tuned for next week’s blog where we’ll discuss some of the cooler shades on the spectrum – greens, blues, and purples! Until then, what is your favorite color to use when decorating and why? Exciting Announcement from KH Window Fashions, Inc!